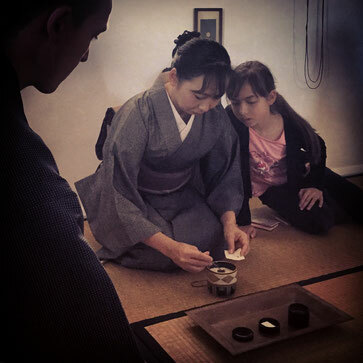 When you go to a public tea ceremony you'll often be treated to a delicate sweet and fine matcha powdered green tea. Calligraphy, flowers, ceramics, lacquerware and the other art pieces are selected to evoke feelings of the season. The sound of the hissing kettle will calm you while the scent of incense opens your mind. 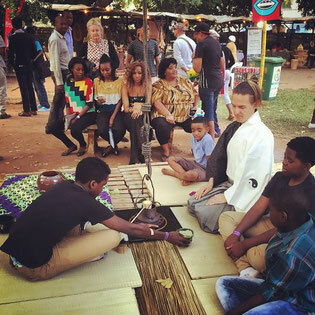 You are brought into a ceremony for the preparation of tea that has been transmitted through centuries. You sip the tea and the refreshing taste of the matcha harmonises with that of the sweet lingering on your palate. For the remainder of the ceremony you reside in a contemplative mood reflecting on the season, the art, the warm human sentiment, and the overall beauty of the serene environment. 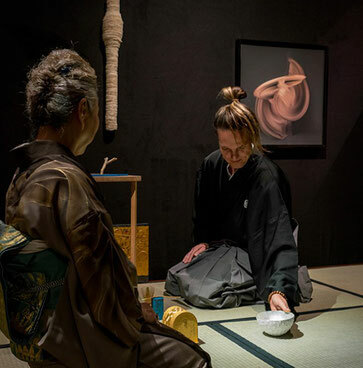 This is a nice picture, but the gastronomy and art appreciation aspects do not exhaust the beauty and benefits of a tea ceremony. It's the spirit encompassing these activities that enables chanoyu (the 'Way' of tea) to transcend ages and not fade away as an aristocratic fad. During tea ritual, your consciousness settles on the bare facts that you are living, breathing, feeling and that your host and fellow guests with you in the tearoom are no different. Returning to the very ground of your being opens up new possibilities for change, allows you to face things in your sub-conscious, and, one would like to believe, cultivates compassion and love for the Earth, natural processes, plants, animals and fellow human beings. The spirit encompassing chanoyu (the Way of Tea) has developed through thousands of years of history in China, Korea and Japan. Daoists and Buddhists embrace tea wholeheartedly: for Daosits it is an elixir of immortality, and in Buddhism tea is used extensively to prevent drowsiness during meditation, and to transcend the mundane and merge with a sense of the ultimate. Daoism holds universal truth can be grasped through everyday activities - like drinking tea. Zen takes this thought to its most ultimate expression. Zen says enlightenment is awakening to universal truth here and now, in the particulars of everyday life. You can't get much more 'everyday life' than preparing and sharing tea. The idea of opening to your enlightened self through everyday activities is explored through tea drinking. In this cultural development, thousands of years of Daoist and Buddhist thought have crystallised into the art of tea drinking. The Zen phrase proclaims: 茶禅一味 (chazenichimi) 'Tea and Zen, One Flavour'. Through chanoyu, the rich spiritual history and culture of Daoism and Buddhism combines with the sensual pleasures of appreciating the visual arts, tastes, scents, and the tranquil ambience of the tearoom. The tearoom is a transient space for welcoming others into a place of art, equality and peace. It is also a place for cultivating self-knowledge. All this makes chanoyu a most fulfilling and spiritually rewarding art, and a worthy pursuit to which one might dedicate their life.